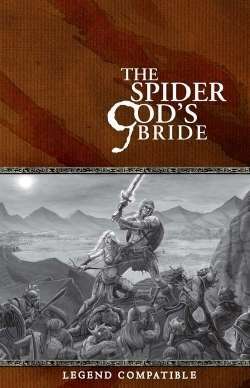 The Spider-God's Bride is a collection of ten blood-red sword and sorcery adventures, inspired by the pulp era tales of Robert E. Howard and Clark Ashton Smith. Venture in the footsteps of Conan the Cimmerian, Satampra Zeiros of Uzuldaroum, Imaro of Nyumbani, and other fabled thieves, reavers and slayers! Fully revised for the Legend rules system. Is the printed version of this book the original, poorly done conversion, or the updated version? This title was added to our catalog on January 16, 2013.